Welcome to easy car rentals- Rent a Car Madaba, providing reliable Madaba car rental at affordable rates. Our madaba car rental branch is located right in the heart of Madaba on Madaba. We also have a depot beside the airport at gulf station, for free airport transfers. Using a rental car in madaba will help you explore the beautiful area surrounding the “history of the World” and make the most of your holiday. As part of a national network of local owner-operator businesses, we can guarantee you a first class, friendly car rental service in Madaba and dead sea and across Jordan . Make the most of your time, see and do more with a Madaba rental car from easy car rentals Rent A Car and create your own fabulous memories. Madaba car rentals from easy car rentals- Rent A Car – wherever you are. Madaba (Arabic: مادبا‎, Hebrew: מידבא‎, Meydba), is the capital city of Madaba Governorate of Jordan, which has a population of about 60,000. Madaba is the fifth most populous town in Jordan. It is best known for its Byzantine and Umayyad mosaics, especially a large Byzantine-era mosaic map of The Holy Land. Madaba is located 30 kilometers south-west of the capital Amman. Madaba has a very long history stretching from the Neolithic period. The town of Madaba was once a Moabite border city, mentioned in the Bible in Numbers 21:30 and Joshua 13:9. Madaba dates from the Middle Bronze Age. During its rule by the Roman and Byzantine Empires from the 2nd to the 7th centuries, the city formed part of the Provincia Arabia set up by the Roman Emperor Trajan to replace the Nabataean kingdom of Petra. 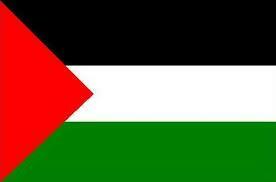 During the rule of the Islamic Umayyad Caliphate, it was part of the southern Jund Filastin. The first witness of a Christian community in the city, with its own bishop, is found in the Acts of the Council of Chalcedon in 451, wherein Constantine, Metropolitan Archbishop of Bostra (the provincial capital) signed on behalf of Gaiano, "Bishop of the Medabeni." The resettlement of the city ruins by 90 Arab Christian families from Kerak, in the south, led by two Italian priests from the Latin Patriarchate of Jerusalem in 1880, saw the start of archaeological research. This in turn substantially supplemented the scant documentation available. The first mosaics were discovered purely by chance during the building of the new permanent dwellings using squared-up stones from the old monuments. The new inhabitants of Madaba, made conscious of the importance of the mosaics by their priests, made sure that they took care of and preserved all the mosaics that came to light. The Map of Madaba mosaic was discovered in 1896 and the findings were published a year later. This discovery drew the attention of scholars worldwide. It also positively influenced the inhabitants, who shared the contagious passion of F. Giuseppe Manfredi, to whom the rediscovery of most of the city's mosaics are owed. 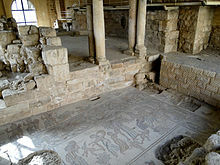 Madaba became known as the "City of Mosaics" in Jordan. The northern part of the city turned out to be the area containing the greatest concentration of mosaic monuments. During the Byzantine-Umayyad period, this northern area, crossed by a colonnaded Roman road, saw the building of the Church of the Map, the Hippolytus Mansion, the Church of the Virgin Mary, the Church of Prophet Elijah with its crypt, the Church of the Holy Martyrs (Al-Khadir), the Burnt Palace and the Church of the Sunna' family. The Madaba Mosaic Map is an index map of the region, dating from the 6th century, preserved in the floor of the Greek Orthodox Basilica of Saint George. With two million pieces of colored stone, the map depicts hills and valleys, villages and towns in Palestine and the Nile Delta. The mosaic contains the earliest extant representation of Byzantine Jerusalem, labeled the "Holy City." The map provides important details as to its 6th century landmarks, with the cardo, or central colonnaded street and the Holy Sepulchre clearly visible. This map is one key in developing scholarly knowledge about the physical layout of Jerusalem after its destruction and rebuilding in 70 AD. Other mosaic masterpieces found in the Church of the Virgin and the Apostles and the Archaeological Museum, depict a profusion of flowers and plants, birds and fish, animals and exotic beasts, as well as scenes from mythology and everyday pursuits of hunting, fishing and farming. Hundred of other mosaics from the 5th through the 7th centuries are scattered throughout Madaba. The University of Toronto has been excavating in Madaba from 1996 until the present. Their efforts have focused primarily on the west acropolis where an open field has allowed access to uncover the entire sequence of occupation at Madaba from the modern period down to the Early Bronze Age levels. The most visible feature of this area is a 7.5 meter wide fortification wall built sometime in the 9th C. BC, with subsequent rebuilds throughout its history. There is also the remains of a well preserved Byzantine era house at the base of the fortification wall. In 2010, a 3,000-year-old Iron Age temple containing several figurines of ancient deities and circular clay vessels used in Moabite religious rituals was discovered at Khirbat 'Ataroz near Mabada. The traditional Jordanian costume of Madaba. Since the days of Rome, people have come to the thermal mineral springs of Hammamat Ma'in or Zarqa Ma'in for thermal treatments - or simply to enjoy a hot soak. After all, what better way to end a day immersed in history than in a wonderful, naturally warm bath? Southwest of Madaba is Hammamat Ma’in, the thermal mineral springs that for centuries have attracted people to come and immerse themselves in the sites’ warm therapeutic waters. There is an excellent 5-star hotel operated by the well known Six Senses group here, which offers indoor and natural outdoor hot pools, a swimming pool and spa facilities. Institute of Mosaic Art and Restoration The Institute was originally created in 1992 as the Madaba Mosaic School, and funded by the Italian Government It was a high school which offered the Tawjili, the Jordanian equivalent of a high school diploma. In 2007, the Ministry of Tourism and Antiquities, under the Department of Antiquities partnered with USAID's Siyaha tourism development project and a rejuvenated Italian commitment to launch the Institute as a 2 year, post-Tawjili program. The aim of the Institute is to be a center of excellence in the region, and to train locals on a scientific level to conserve and restore the many ancient mosaics found in Jordan. Students are also taught traditional and modern methods of mosaic production, as well as Computer Aided Design (CAD), Arabic, English, geology, and chemistry. Soon, students will also be able to transfer their credits to Al Yarmok University to complete a BA in Archegology with a further two years of study. The Institute is located between the Madaba Visitors Center and the Madaba Archeological Park. Visitors are welcome to explore the school grounds and the workshop from 8am - 2pm Sunday thru Thursday. The school is currently working on putting together a website (http:www.imar.edu.jo) which should be operational in early 2010. Further, a short 2-3 hour course aimed at tourists should be available in early spring 2010. A weaving project was started by twelve women of the tribe in 1985 and since then Bani Hamida has become famed for producing beautiful woven items in traditionally bright colors. Traditional ground looms, assembled using stones and sticks, are used for the weaving, and the products can be found at numerous outlets in Jordan and abroad. Visitors can stop by the weaving rooms, located in the village of Mukawir, to see how rugs are made. The women also make decorative candles. Madaba has been chosen to house new universities (American University of Madaba) and a new settlement operation not far from the historic city will house over 600 villas. Kuwaiti corporations are now funding the construction of new office buildings to be built in Madaba.